Last modified on June 27th, 2018 by Vincy. 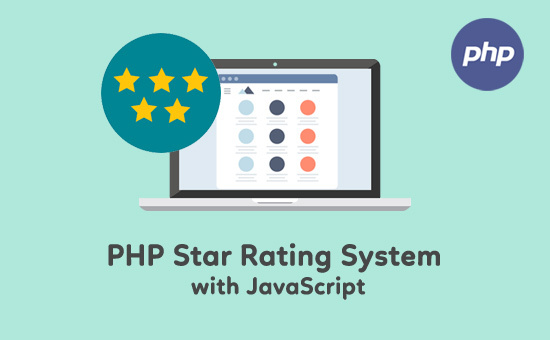 Star rating feature allows the user to grade the service, product, web page, etc. Star rating also allows the owner to understand the user preference and improve the quality accordingly. As for the general users, for example, in a shopping cart application with star rating will help users to search for highly rated products. 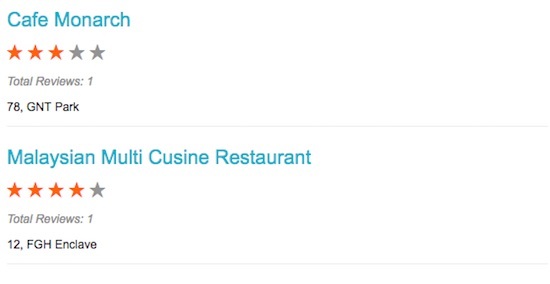 The restaurant and its ratings are stored in the database. The restaurant results are listed row by row with the star rating option. When the user rates a restaurant the AJAX call will be sent to the PHP to insert rating for the restaurant. The added ratings are displayed with the highlighted stars. This SQL script is with the create statements and the data dump for the tbl_rating and tbl_restaurant tables. This code is used to fetch the restaurants details from the MySQL database and to list them with the star rating option. The stars are highlighted by hovering on the rating element. On page load, the AJAX call will get and display the user added rating with the highlighted stars. Each restaurant record shows the graphical representation of the five-star rating with overall rating count. This PHP code is called with an AJAX request to return the restaurant list with user rating data. It forms HTML response that will be received at the AJAX success callback. // Here the user id is harcoded. On the click event of the unclicked star element, an AJAX function addRating() to call the PHP file insertRating.php. This AJAX function will pass the restaurant id and the user rating to the PHP file. In PHP, it receives the rating param and inserts ratting data into the database. var parameters = "index=" + ratingValue + "&restaurant_id="
The following code shows rest of the functions used in this example to create the hover highlighting effects on the five-star elements. This screenshot shows the list of restaurants with the five-star rating system.